The countdown has begun to the Big Day-amazing to think there are just 4 weeks till the Christmas Craft Fair takes place! 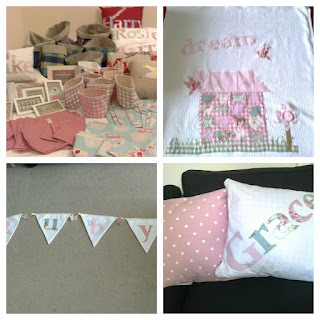 Today we are featuring Sew Gorgeous-and as you can see from the photos all her makes are totally gorgeous! What a lovely selection of cushions-you can never have too many cushions. Looking forward to seeing the Broadwater Parish Rooms full of tables laden with beautiful handmade and vintage items!